Naa...Just a cheap little work truck...But thanks anyway. Here a little animated gif showing what the coilovers did. Sorry the lighting and angles are not dead on but give a pretty good idea the change. I'll follow up with some measurements. This thing is going to come in handy. Even though a LineX is going in it freaks me out walking in the bed on shiny new paint. 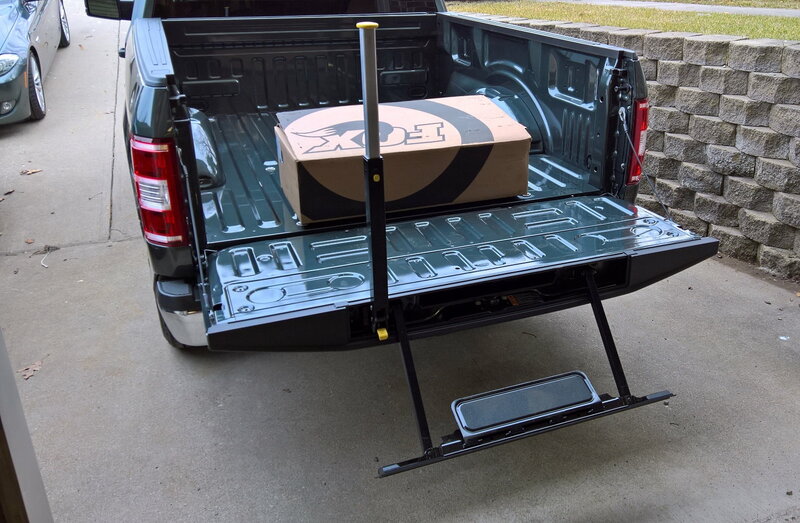 The tailgate step is something my truck came with but it wasn't a big deal to me at the time (2012). 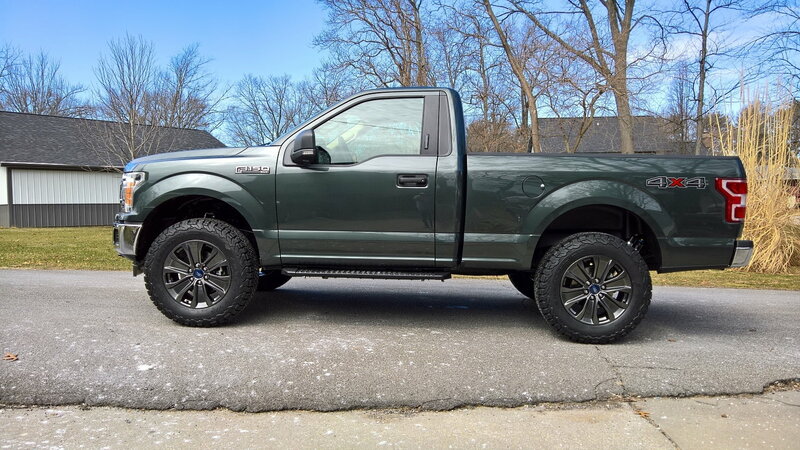 I won't buy another truck without one now! I use it constantly. Looking forward to seeing this build come together. Good looking truck Mike, you guys are starting to persuade me to going RC next time. Any tunes going on? Exhaust? Make sure to keep the fox box just in case you have a problem or they need to be rebuilt. Its about time! lol. Congrats! I know...I thought it was NEVER going to show up. Sweet! Finally, here we go!!!!! Yup....Now its not just a Photoshopped render from Ford.com. Yeah...That was one option I was looking forward to. It's a lot of fun to drive for sure...Not really a sports car maybe a little more sporty. Yep...I've heard horror stories about Fox and the way they handle warranties. I'll be keeping the original front coilovers in the box just in case. Last edited by OCMike; 03-17-2018 at 03:03 PM. Rear Fox 2.5, tires, wheels and the Husky wheel liners are on. I'm curious to see how much lift you actually get with the regular cab. Here are the measurements with the stock tires and wheels. The tape really was plum the camera was not. Looks like I'm at a little over an inch of rake still, that's about were I wanted to be. Last edited by OCMike; 03-17-2018 at 04:11 PM.